Let's travel the world! 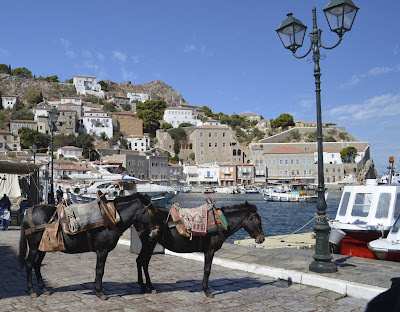 : Hydra, a island without wheeled vehicles! Hydra is one of the most impressive island in the Argo Saronic Gulf, is truly a gem. 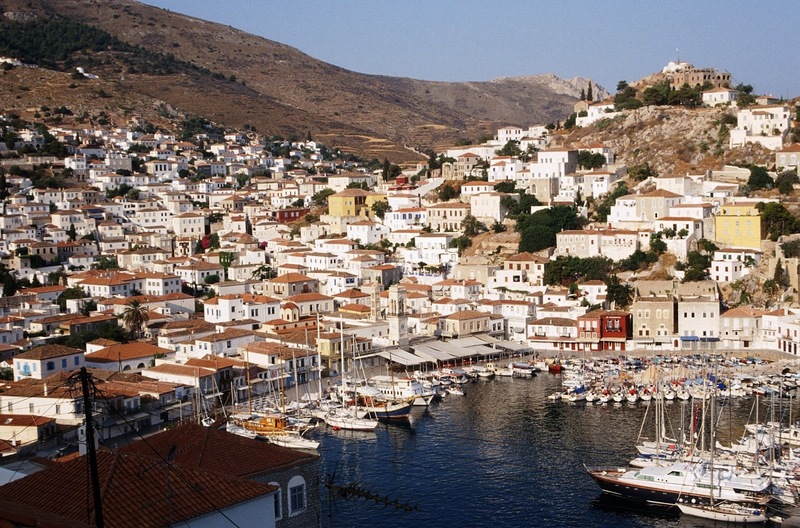 Due to its close distance to Athens, Hydra is very popular as a weekend destination. The town is constructed on the slopes of a hill around a port and impresses visitors at first sight with the elegant stone mansions. Rubbish trucks and a fire truck are the only motor vehicles on the island, as cars and motorcycles are not allowed by law, horses, mules, donkeys, and water taxis provide public transportation. The inhabited area, however, is so compact that most people walk everywhere. 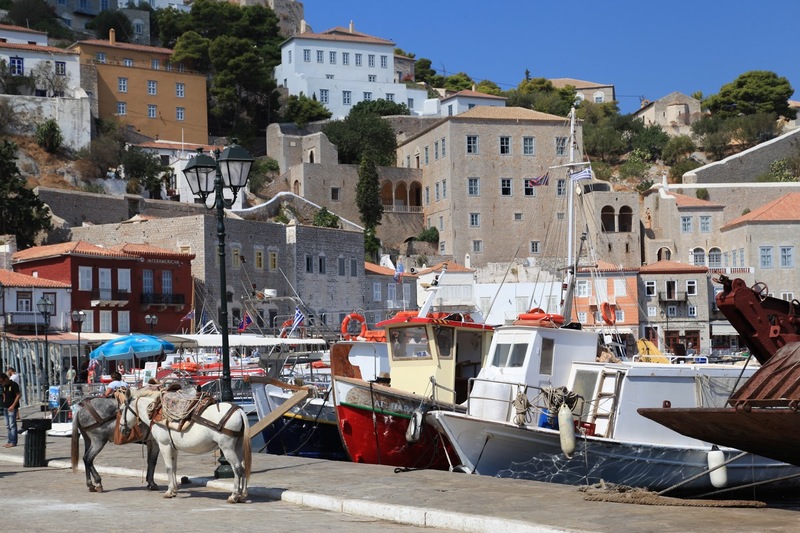 Hydra benefits from numerous bays and natural harbors, and has a strong maritime culture. You will see marble-cobbled lanes, donkeys, rocks, sea and exquisitely preserved stone architecture. An policy of development has meant that there are absolutely zero high-rise houses. 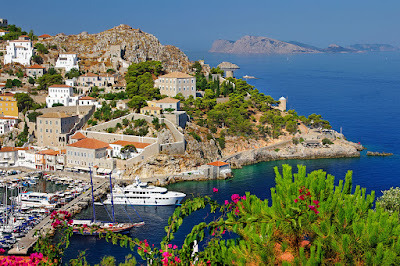 Hydra is one of the Saronic Islands of Greece, located in the Aegean Sea between the Saronic Gulf and the Argolic Gulf. 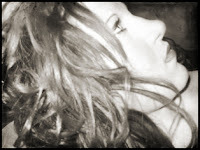 It is separated from the Peloponnese by a narrow strip of water. In ancient times, the island was known as Hydrea, a reference to the springs on the island. 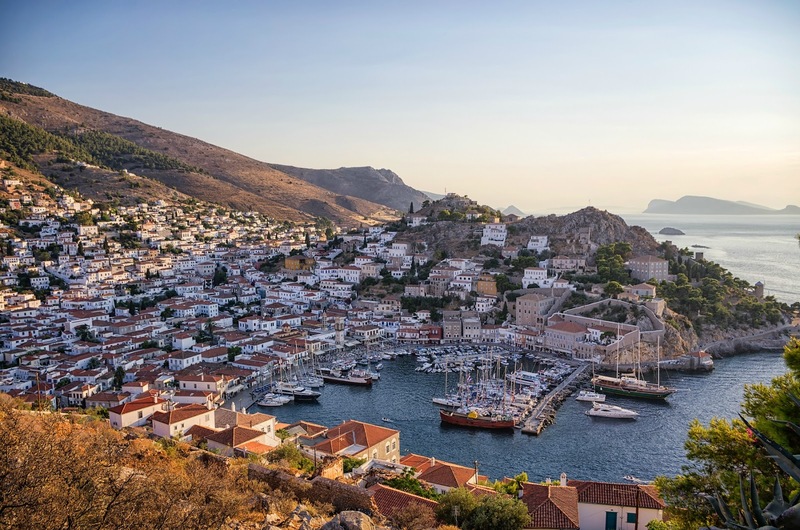 There is one main town, known simply as "Hydra port", town consists of a crescent-shaped harbor, around which is centered a strand of restaurants, shops, markets, and galleries that cater to tourists and locals (Hydriots). Steep stone streets lead up and outward from the harbor area. 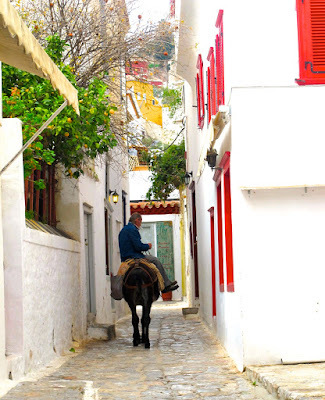 Most of the local residences, as well as the hostelries on the island, are located on these streets. Other small villages or hamlets on the island include Mandraki, Kamini, Vlychos, Palamidas, Episkopi, and Molos. 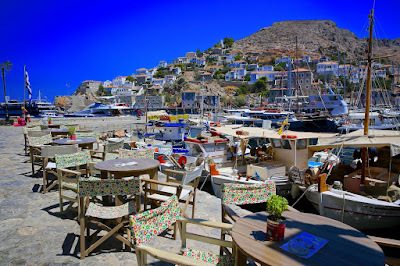 Beaches on the island are actually small coves with crystal water and green surroundings. Agios Nikolaos, Bitsi, Vlichos and Kaminia are the most beautiful beaches on the island. 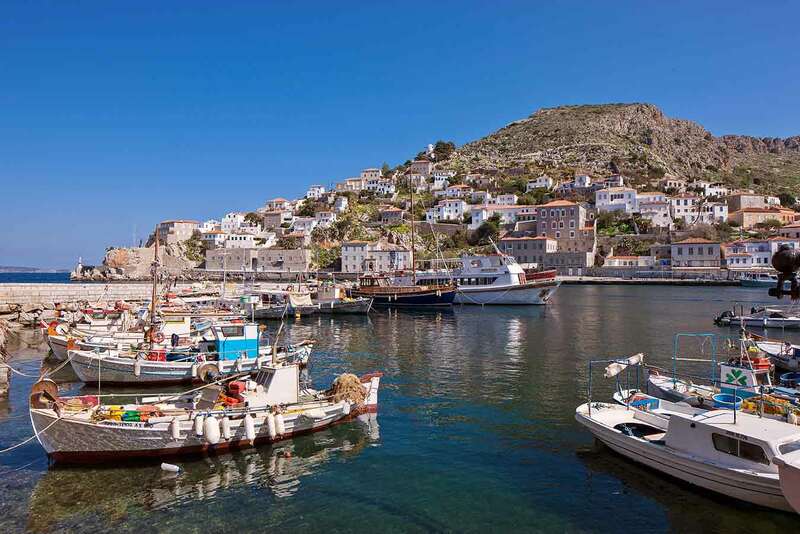 Hydra depends on tourism, and Athenians account for a sizable segment of its visitors. 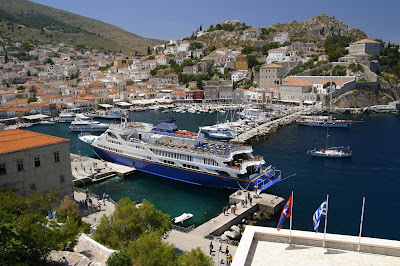 High-speed hydrofoils and catamarans from Piraeus, serve Hydra. There is a passenger ferry service providing an alternative to Hydrofoils that runs from Hydra Harbor to Metochi on the Peloponnese coast. 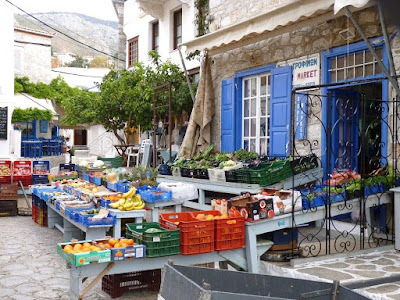 Many Athenians drive to Metochi, leave their car in the secure car park, and take the 20-minute passenger ferry across to Hydra. 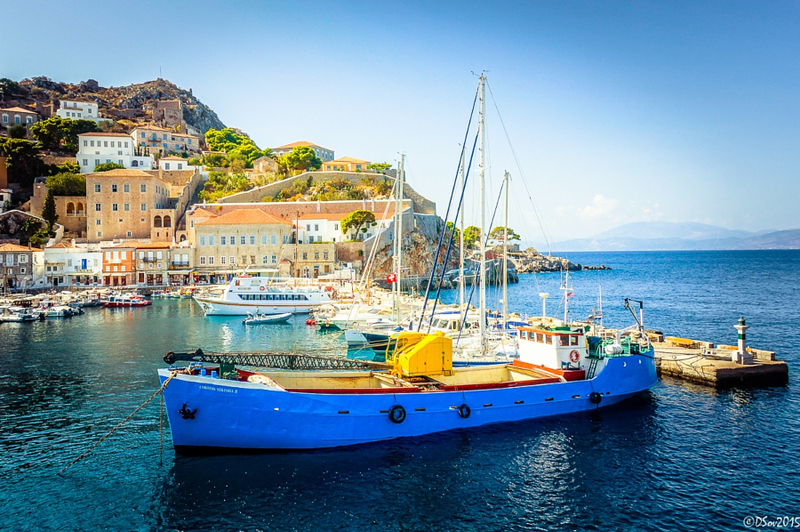 There are frequent boats between Piraeus and Hydra. You can opt for either a slow car ferry (around 3 hours) or a fast catamaran (1.5 hours). Tickets for all boats may be bought online or from agencies at the harbor. 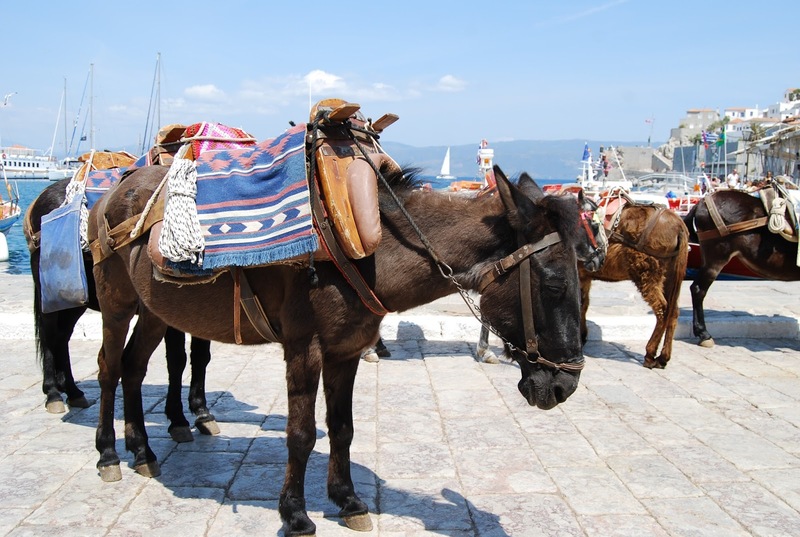 Getting around the town center on foot is easy enough, but for going elsewhere the only options are by donkey or boat taxi, both of which congregate at the center of the port. For the boat taxis, listing fixed fares for popular destinations, ranging from €9 for the short hop to Kamini to €120 for a circuit around the whole island. 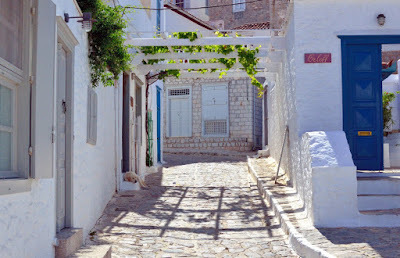 Cathedral of Hydra, (center of town). Tue-Sat 10 AM-5 PM. Spot the belltower to find it, with a small "Ecclesiastical Museum of Hydra" sign pointing the way inside. Opening hours for the interior and the museum are rather more erratic than stated, but the courtyard is always open and worth a peep. The cathedral's interior is gorgeous, with hundreds of gold and silver icons and other elaborate Orthodox decoration. There's also a small museum on the second floor, which displays a variety of historical religious objects, textiles, bejeweled vestments, and other treasures. Entry to the museum costs about €4. 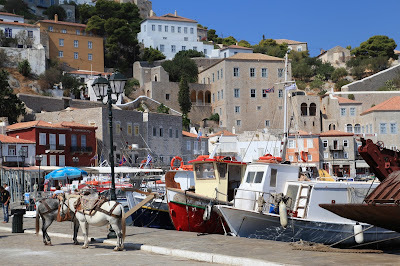 Hydra Museum, (next to ferry dock). Small but reasonably well-presented museum on the seafaring ways of the Hydriots and their disproportionate contributions to Greece's many wars. Notable exhibits include the embalmed heart of Admiral Andreas Miaoulis and the sad story of patriot Kouroulis Michalis who, we are informed, "died of sorrow caused by the renewed enslavement of his homeland" in 1832. €4. 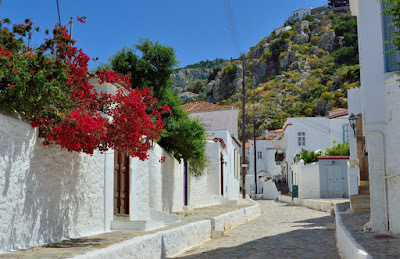 Some old Hydriote mansions have been restored as museums illustrating the traditional life of Hydra's splendid past, they are usually listed on island maps available locally. Hydra doesn't have much in the way of sandy beaches, but there are plenty of smooth rocks and pebbly bays for sunbathers. 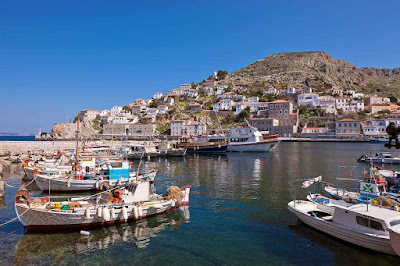 The only good swimming spot within easy access of town is the rocky shore called Spilia in the Kamini district on the west edge of town, just walk along the main coastal road leading west for about twenty minutes, and it's just past the large cafe-bar. This area isn't really a "beach" but a rocky area which has been slightly developed by the addition of a few stairs and level places in the rocks which are good for sunbathing. Another twenty minutes further west is Vlihos, a pebble beach featuring €3 chair rentals. Two idyllic tavernas are only moments away. 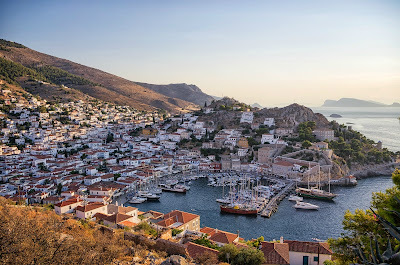 Vhilos is a short €3 water taxi ride away, but the 45-minute walk from the main port of Hydra is breathtaking and well worth the extra time.